Pace Bike Share is here. Grab a bike and go where you want, when you want. Knoxville has had many nicknames over the years. Marble City, Scruffy City and the Dirty South come to the minds of those who know the city well. Yes, Knoxville is a college town. It’s also a biking destination. And now it’s easier than ever to hop on a bike and go! Knoxville is excited to offer Pace Knoxville, a premier bike share experience for visitors and locals. With Pace, riders can rent and return bikes from a multitude of bike hubs located throughout downtown AND from public bike racks throughout the city. 200 bikes are now available. To find one near you, simply download the free Pace Bike Share app, available in the App Store or Google Play, then unlock the bike at the touch of a button. Pace rides in Knoxville cost $1.00 per half hour, and the first 30-minute ride for every new user is FREE! Download the Pace app to find and unlock bikes near you. The True Fit system self-adjusts to ensure a proper fit every time. 16 vents keep your head cool while the built in visor protects from the sun & elements. Age Range: 14 years & up. Fits head sizes 22.4" - 24"
What is a Bicycle Sharing service? Bicycle, or Bike, Sharing services are networks of bicycles that can be checked out by the general public for business or recreation. Reservations can often be made online and allow a resident or visitor to quickly unlock a bicycle through use of a keypad or smartphone. 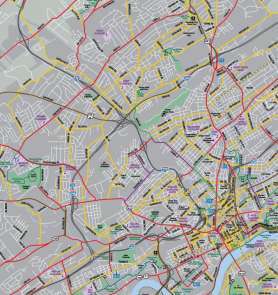 Where are bike hubs located? Do I need a helmet to ride a PACE bike? 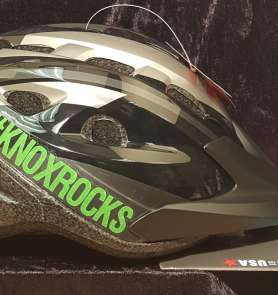 However to ensure your safety, bike helmets are available for purchase in the Knoxville Visitors Center.